I am a journalist by profession and I write about various issues affecting us. 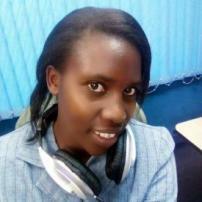 I am currently working as a radio programs producer at TBN Family Media - Kenya. I am a part time blogger and I am always keen on current affairs. I always embrace criticism. Music makes a part of me as well as making new friends and associating with people. I am a devoted christian and a die-hard Arsenal supporter.